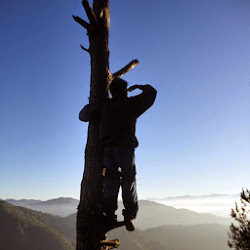 Humans are, by nature, afraid of natural calamities, (i.e earthquake, typhoon, or volcanic eruption), so understandably, many would think that hiking an active volcano is nothing but a crazy idea, risks are much higher. For most of us, volcanoes are time bomb waiting for the big day to unleash destruction. Mt. Hibok-Hibok, for instance, in the island of Camiguin, is an active volcano. In fact, it is one of the six volcanoes in the Philippines (along with Kanlaon, Bulusan and Pinatubo, which I've already hiked; as well as Taal and Mayon) that's being closely monitored by PHIVOLCS due to their highly dynamic volcanic activity. 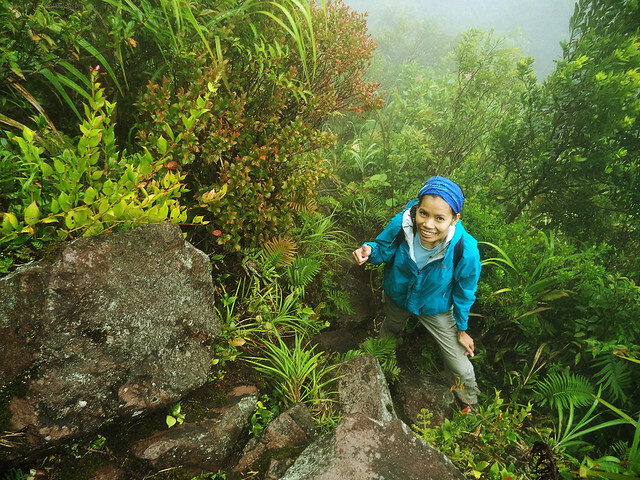 But despite the risks, I still chose to hike it when I visited Camiguin Province. I'm a crazy guy and am never turning down an opportunity to hike an active volcano. Living the life without involving risks is just so not me. I always yearn for thrill, and I think, hiking H2 would be thrilling. 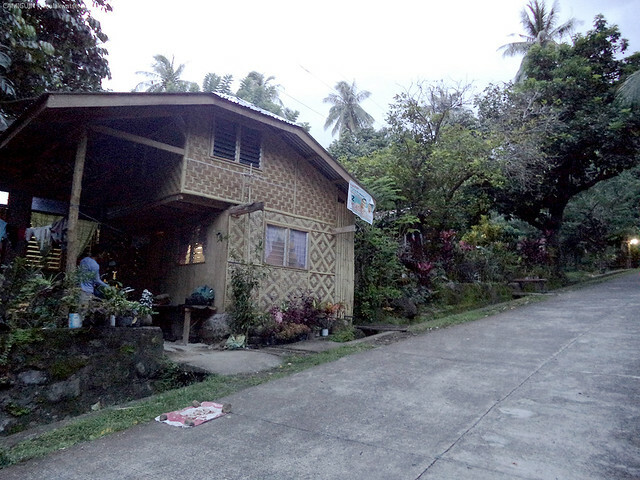 It was our second day in Camiguin Island and we have dedicated it for Mt. Hibok-Hibok. Our plan was to take a traverse dayhike, from Brgy. Yumbing down to Ardent Hotsprings, with Mang Ronald as our guide. Although it was still dark when we headed to the jump-off in Brgy. Yumbing at around 5 in the morning, we can see from below a clouded, half-covered, Mt. Hibok-Hibok. This of course made me feel sad and worried knowing that our chance of getting a summit clearing was very slim. But I'm not losing hope just yet, I've had similar experiences in the past wherein the mountain was as cloudy, but always end up with a very nice summit clearing still. high hopes! Our adventure began at around 5:30 AM when we followed the clear trail that emerges from the road. 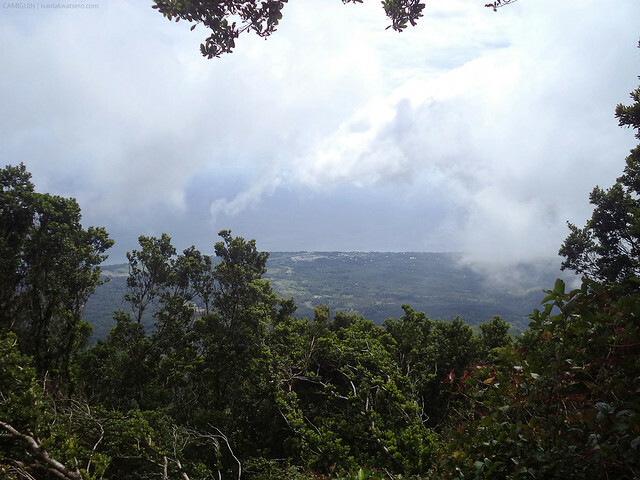 This led us to a woodland that has close resemblance to the typical mountains in Laguna and Batangas (i.e. Mt. Banoi, Mt. Kalisungan). 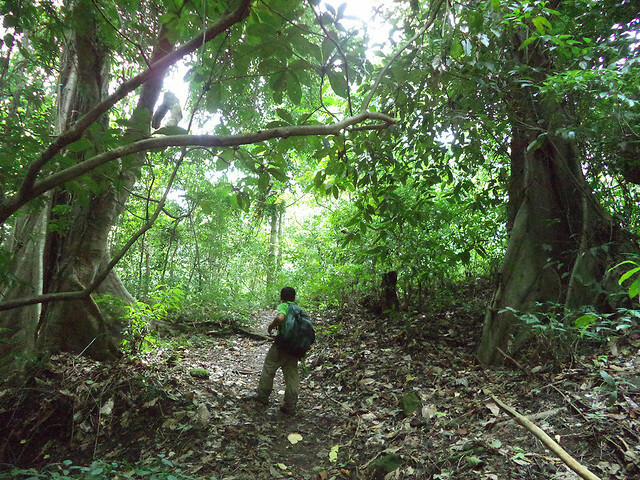 Except for those lanzones trees which grows abundantly in the place, nothing else seemed special in the first leg of our trek. 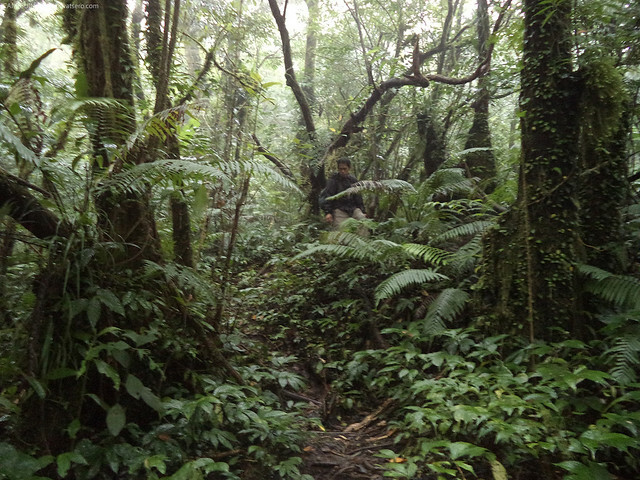 Excitement only began when we entered a thick forest but it was short-lived when rain came pouring down all of a sudden. And when it rains, I really can't enjoy the trails that much. dense forest of Mt. Hibok-Hibok This is my only picture of the place since the rain started pouring down when we arrived here. 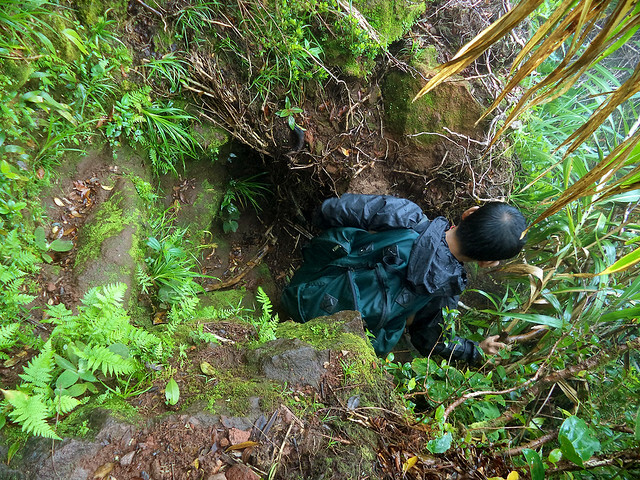 Past the dense forest trail, came the crater area of the volcano. It is an open field covered with ferns and bushes and has a lagoon at the center. There's also an open football-like field which looks really nice. I would enjoyably run around only if it wasn't very foggy and drizzly and cold by the time we were there. 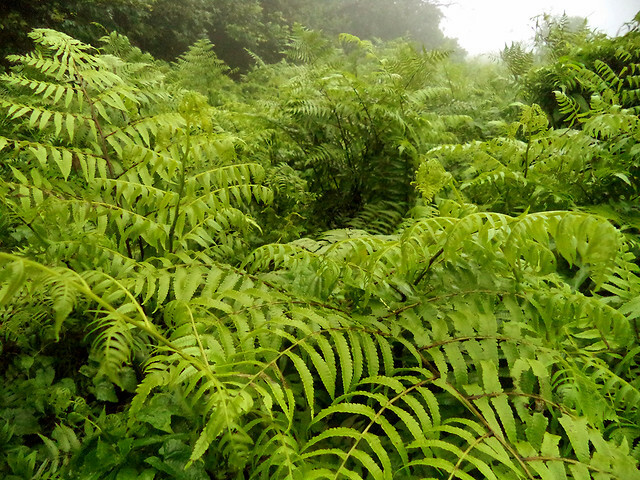 I've eaten fern salad before, but the freshly picked fern fronds we found along the trail was the best! Sayang dapat nag-dala ako ng suka. We stayed in the crater for more than 30 mins, hoping that the fog would somehow subside before we resume the trek to the summit. But sadly, it never happened. 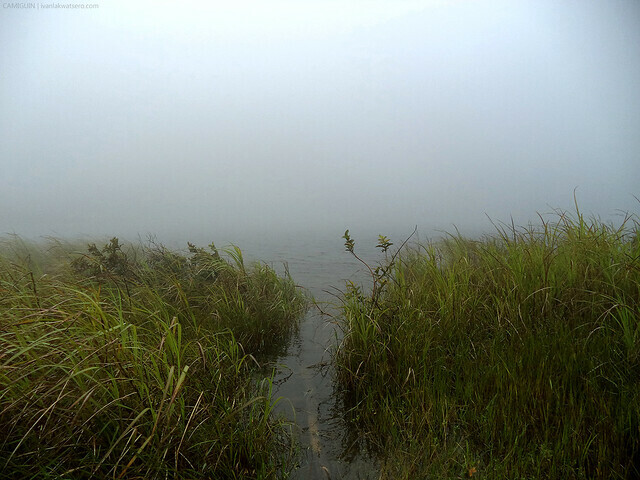 When we continued the trek up the summit, the fog, accompanied by chilly breeze, carried on and even accelerating. Obviously, there's not a single sign that we're getting a summit clearing. The trail leading to the peak was steep, rocky (sharp rocks) and slippery, thus requires the use of both hands to scramble our way up. We also passed by several view points but were just proven worthless by the persisting fog. at one of the view decks in Mt. Hibok-Hibok. Still very foggy though. 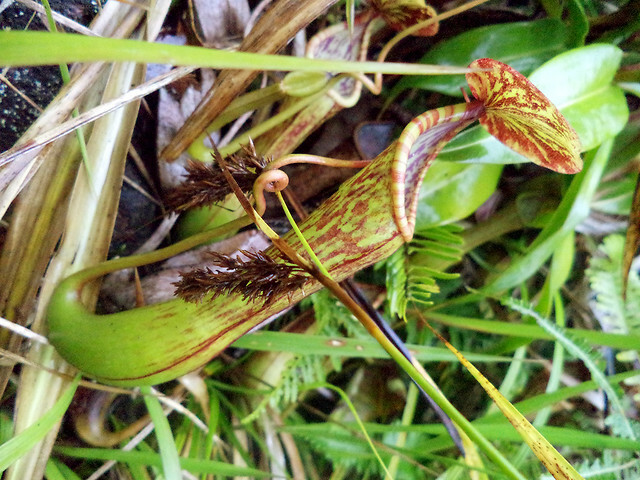 Species of pitcher plants (Nepenthes) were spotted as we approach the summit area. As expected, the summit was completely foggy when we arrived at 9AM. We're disappointed by the grim scene, but nonetheless, still smiling. 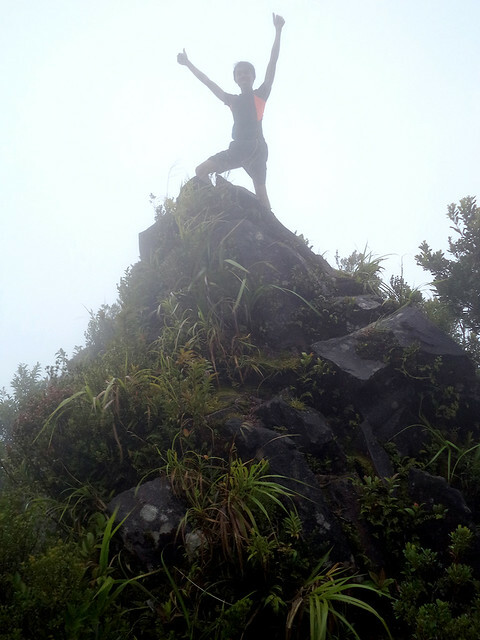 The fact that we reached the summit of Mt. Hibok-Hibok gives us enough reason to be smiling. So we celebrated by taking pictures even with just a plain white foggy background. Also, we had a quick carbo meal to silent our tummies, hindi pa kasi kami nakaka-kain ng matino mula nung umakyat kami. at the summit of Mt. Hibok-Hibok with my buddy Arisse. Smile pa rin kahit walang clearing sa summit. From the highest point, a quick descent followed. The trail was steep and muddy, and some portions were overgrown. If we were to ascend this trail, it's surely more challenging. one of the steepest parts of the trail to Ardent. 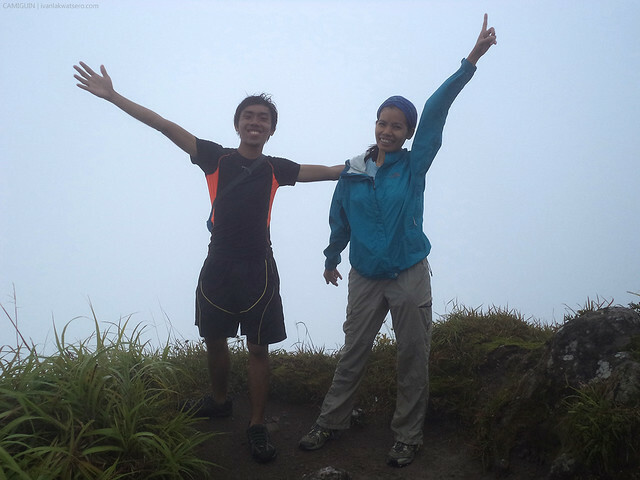 Then by the time we reached the monitoring station of PHIVOLCS, the clouds strangely opened and gave way to the views which we did not see when were at the summit. The plains of Mambajao, as well as the province's only airport were all sighted. a wide clear trail leading to Ardent Hot Springs. We again arrived in a woodland as we near the end of our hike. Meandering through a wide clear trail, we soon reached Ardent Hotsprings. Time was 11:30 AM. Success! As a reward, we bathed in the hot spring to relax, and after that, we treated ourselves with a yummy sinigang dish. Woohoo! Done with Mt. 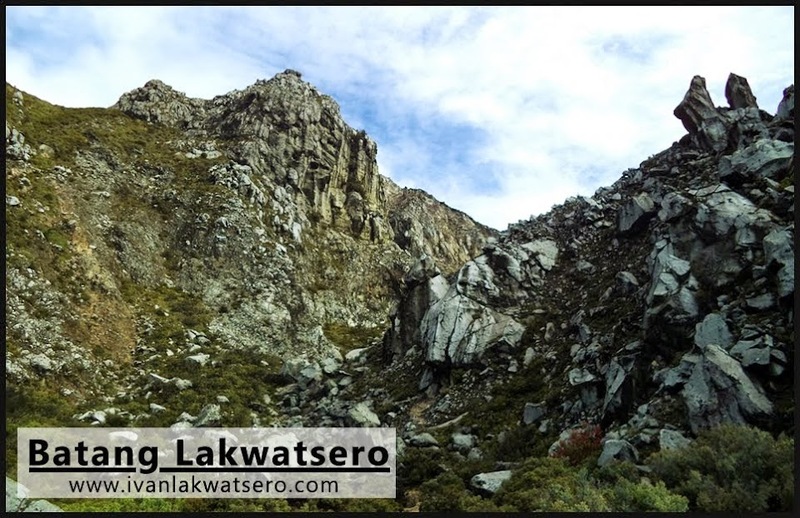 Hibok-Hibok traverse dayhike! As long as you heed the advice of the resident volcanologist, you are safe from a sudden, explosive eruption. Not always true but it is, most of the time. thank you so much for your post it was very useful on deciding to actually CLIMB the Hibok Hibok next week. Could you provide me the details of the company/guide you did the trekking with? Hi, this is such a very informative piece. I would like to ask for your permission, Sir, to make this as a source of one of the articles that I am writing which includes Mt. Hibok-Hibok. Since I do not have a first-hand experience going there, may I use this as a reference? Thank you.